Valentine’s Day is right around the corner. 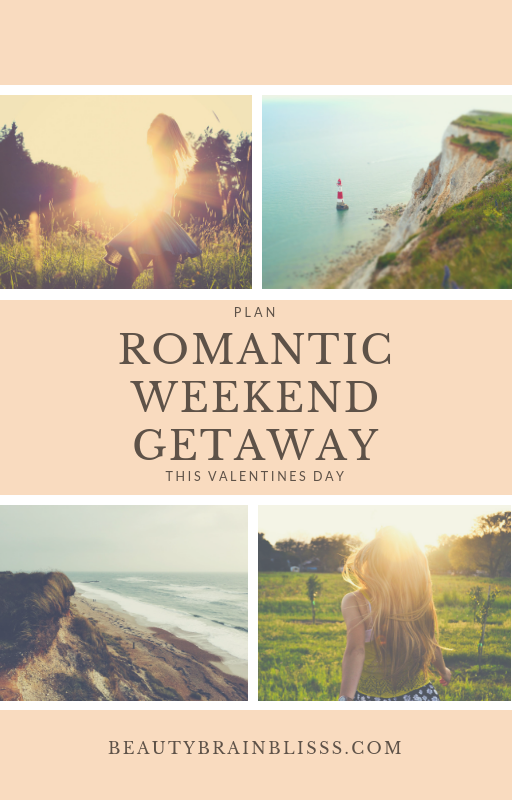 A heart-shaped assortment of chocolates, a sweet and thoughtful card, a dozen roses, and a candlelight dinner all come to mind for you and your loved one, but why keep it traditional when you could go the extra mile (or hundred) and plan something extra special this year like plan a romantic weekend getaway! You have to ask yourself – what does your happy place look like with your significant other? It’s important to pick a place that speaks to both of you. Are you mountain or beach people? Do you prefer the intimacy and privacy of a cabin in nature, or is a large, exotic resort with all the amenities a better fit? You also must consider the time of year and if the weather is right for a romantic getaway for the location you prefer. Pick a place with great weather in general and beautiful sunsets. Remember, it is best for a short two-day or three-day weekend getaway to pick a location within a few hours travel from where you live. You want to spend more time at your destination than the time it takes to travel there! Whether the trip is a surprise or not definitely impacts how you plan. Regardless though, you have to consider your budget up front. You can save money by taking a car instead of a plane for example, and you can opt for an Airbnb instead of a hotel to save some money too. Booking exotic locations isn’t out of the question, though. Many travel websites offer package deals for V-Day, including flight, hotel, and meals. Such packages may include deals for local businesses and restaurants, or maybe even spa deals. Compare prices on packages among sites like Orbitz, Hotwire, and Travelocity. Also, cruise trips can be expensive, but not always. Watch for last minute deals cruise lines offer to fill empty rooms. When you are on a romantic getaway, it is time to put away your cell phone. Even more so, turn it off! No checking email on your phone during a weekend of sunsets, quiet dinners, strolls, and other romantic activities. Take as many pictures of your trip as you like, but wait to post pictures on Facebook until you get home – you won’t regret it! Also, make sure and save quiet time just for the two of you. Allow yourselves to rest by not planning too many activities so you can simply enjoy each other. For a very special Valentine’s Day, be in touch with your concierge in advance. His or her job is to impress you and your loved one, inspire intimacy, and create lasting memories. A concierge will always have great advice for creating those lasting memories. They will help you plan anything you want and can be full of great ideas for you and your partner. 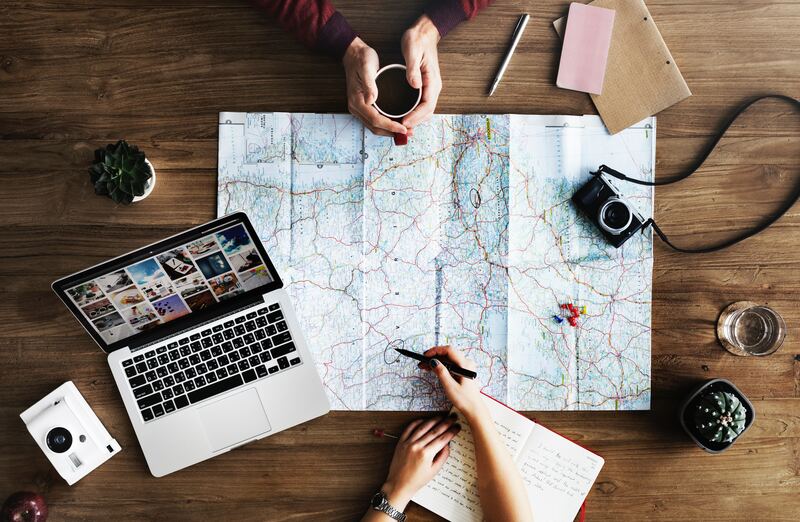 While you can book everything for your trip through a third-party site, you may also want to consider booking everything directly through your hotel, letting them know in advance that your trip is a special occasion, and then reminding them again once you arrive. This way, you can develop a better relationship with your hotel’s concierge and make sure everything in your room will be perfect like making sure you have a high-quality bed for staying well-rested, avoiding waking up in pain, allowing for plenty of cuddling, and anything else you may have planned for your Valentine’s Day celebrations (if you get what we’re saying). For a special trip with your loved one, planning what to do each day in advance is key. You can pack a picnic, schedule a wine tasting, schedule a spa day, plan a group tour, or even plan an adventurous excursion. What you choose depends on what you and your partner both like! Planning where you eat matters, too. Plan romantic meals with a great view with private seating areas. Consider types of eating experiences that bring you closer through sharing, like tapas or fondue. Laurie Larson is a freelance writer based in NC. She enjoys splitting her time between beach fronts and gorgeous mountain views in The Tarheel State, though she’s partial to the restorative calmness that the wilderness brings.